Kadıköy, which is both the largest district on the Asian Side and one of the largest districts in the city as a whole, was first known as Chalcedon. The Historical Kadıköy Market offers a wide variety of options for gourmets, music lovers, and entertainment seekers. Fishmongers and spice sellers are important fixtures of the market. Indeed, the aroma of Kadıköy is that of the sea mingled with thousands of different spices. Çiya, a restaurant which specializes in Southeastern cuisine, is a meeting point for those who love the traditional flavors of Turkish cuisine. Mercan and Şampiyon Kokoreç, two establishments flavored by a younger clientele, offer a different color to the market’s atmosphere. Kadıköy is also home to such well-known restaurants and food stores as Beyaz Fırın, which sells specially-prepared chocolates and baked goods; Şekerci Cafer Erol offering home-made jams and sweets; Baylan Patisserie, known for it unique ice-cream dish, “Coup Grillet”; Ali Muhittin Hajji Bekir, specialists in Turkish delight and a variety of sweets; and Brezilya Baharatçısı, a shop that sells thousands of varieties of spices, and has operated out of the same location for half of a century. The Flea Market, where second-hand goods, clothing, and electronic goods are sold, and the Antique-Sellers Street are the destinations for all antique lovers. Another important aspect of the market is the ever-active booksellers and music stores. The Akmar Arcade is a particular favorite of music lovers and aficionados of second-hand bookstores. Kadıköy does have a rather impressive nightlife. A variety of bars and restaurants addressing every taste animate the nightlife in Kadife Street. By climbing uphill through the small streets behind the Kadıköy Market, you can reach Bahariye Avenue, the primary shopping district in Kadıköy. In addition to the brand outlets on Bahariye Avenue, a number of discount stores selling household goods are also found there. 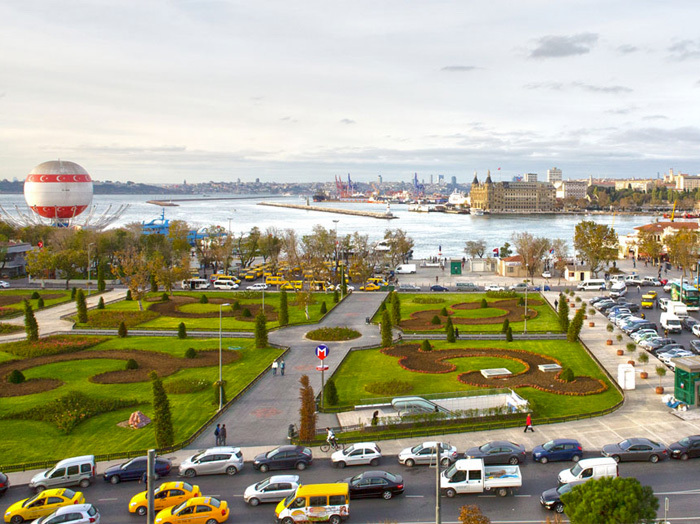 After exploring Bahariye Avenue from one end to the other, you may want to return to Kadıköy Square. If you are tired and prefer not to walk, the Nostalgic Moda Tramway offers a perfect solution to your dilemma. The tramway travels on a single rail through avenues that are otherwise crowded with traffic. What’s to do when you go there?